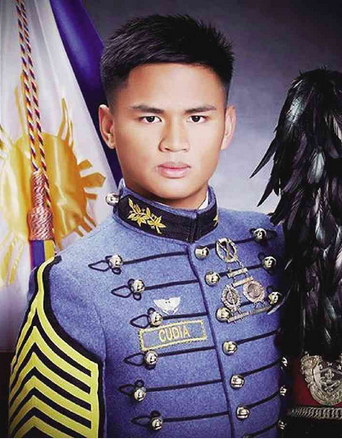 Armed Forces of the Philippines (AFP) told Manila Bulletin Online on Tuesday that the Philippine Military Academy (PMA) cadet, Aldrin Jeff Cudia, will not graduate on March 16. He was dismissed for violating the Honor Code, for lying as to why he was late for his next class. A unanimous 9-0 vote from the Honor Committee is required to dismiss a cadet from the academy. Cudia was supposed to graduate as salutatorian and was supposed to join the Philippine Navy. "I am just as shocked as everybody else that a salutatorian, a bright boy, should not be allowed to graduate because he lied. When you look into the lie, I think it was just that he may not have been able to explain himself as accurately as he should have," CHR chairman Loretta Rosales told Rappler. 1. CFC Jheorge Llona, Daraga , Albay, will join the Philippine Air Force. 2. CFC Liza Jumawid Dango, Cagayan De Oro City, will join the Philippine Army. 3. 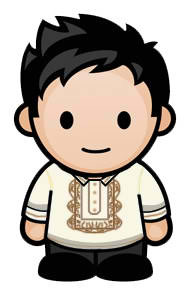 CFC Billy Casibi Codiam, Tanudan, Kalinga, will join the Philippine Army. 4. CFC Leo Mac Callueng Tuliao, Cagayan, will join the Philippine Air Force. 5. CFC Noel De Venecia Raguindin, Dagupan City, will join the Philippine Navy. 6. CFC Carlito Christopher Pajarillo Agustin, Tuguegarao City, will join the Philippine Army. 7. CFC Frank K. Anzale, Babatngon, Leyte, will join the Philippine Army. 9. CFC Greg Philip Lesmoras Monsalud, Cagayan De Oro City, will join the Philippine Navy. 10. CFC Alvin Kanala Balangcod, Kapangan, Benguet, will join the Philippine Army.